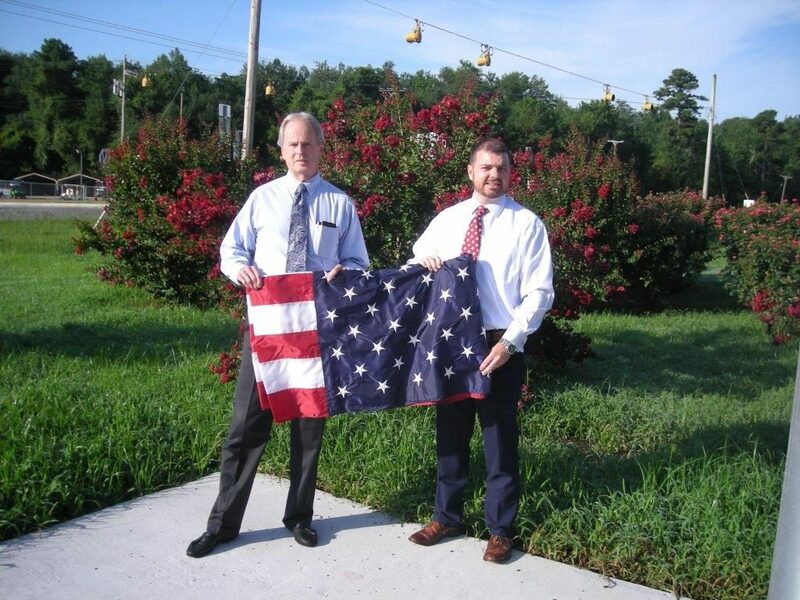 The Woodman of the World donate flag poles, the U.S. and N.C. flags to the Town of White Lake. 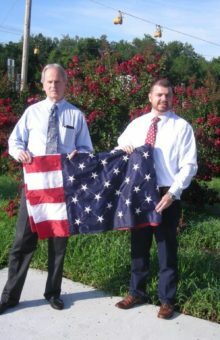 White Lake Mayor Goldston Womble accepted the patriotic donation from Trey Duncan on behalf of the Woodmen of the World. during the August 14, 2018 Town of White Lake Board of Commissioners regular meeting according to Brenda Clark with the town.